Looking for deals in Chiang Mai? Hotel MAYU is located 656 feet from MAYA Shopping Mall and only a 5-minute walk from the trendy Nimman Hemin area. Guest rooms in the hotel are fitted with a flat-screen TV. Everything was as close to perfect as it could be. Chiang Mai Heritage House is located in Chiang Mai and features a garden. Each room at the 3-star hotel has mountain views, and guests can enjoy access to a terrace and to a shared lounge. This house is great! Strategically located inside NW corner of old walled city. Featuring an outdoor swimming pool, The Inside House is located in the Chiang Mai Old City of Chiang Mai, a 9-minute walk from Wat Phra Singh. With a garden, the property also has a terrace. The central downtown location was excellent for visits to the various local markets. Offering an outdoor swimming pool with a sun deck, BED Phrasingh Hotel is located in Chiang Mai. Free WiFi access is available. Very charming hotel with lovely staff and exceptionally good aura. Located in Chiang Mai, a 5-minute walk from Wat Phra Singh, Patra Phrasing Boutique Hotel has a garden and a terrace. The 3-star hotel has air-conditioned rooms with a private bathroom and free WiFi. The Patra Phrasing Boutique Hotel was a delightful stay. Icon Park Hotel, Chiang Mai is located in Chiang Mai, a 7-minute walk from Chang Puak Market, and has free WiFi. All rooms feature a flat-screen TV with satellite channels and a private bathroom. We did a last minute midnight booking due to another hotel not meeting our expectations. Leechiang Boutique Lanna features a cozy accommodations with complimentary WiFi access in all areas. The property provides bicycle rental services. Amazing hospitality and friendliness of staff. Clean hotel and in a very quiet location. Which hotels in Chiang Mai are good for couples? These hotels in Chiang Mai are highly rated by couples: THE TIPPANET (adults only), Rinn Boutique House, and The Warehouse Chiang Mai. Which hotels in Chiang Mai have nice views? Wiang Kum Kam Resort, THE TIPPANET (adults only), and 99 The Heritage Hotel got great room view-related reviews from travelers in Chiang Mai. How much does it cost to stay in a hotel in Chiang Mai? On average, 3-star hotels in Chiang Mai cost $49 per night, and 4-star hotels in Chiang Mai are $97 per night. If you're looking for something really special, a 5-star hotel in Chiang Mai can be found for $230 per night, on average (based on Booking.com prices). Which hotels in Chiang Mai are good for families? Many families visiting Chiang Mai loved staying at THE TIPPANET (adults only), Wiang Kum Kam Resort, and BED Phrasingh-Adults Only. How much is a hotel in Chiang Mai for tonight? On average, it costs $49 per night to book a 3-star hotel in Chiang Mai for tonight. You'll pay around $123 if you choose to stay in a 4-star hotel tonight, while a 5-star hotel in Chiang Mai will cost around $322, on average (based on Booking.com prices). How much is a hotel in Chiang Mai for this weekend? The average price per night for a 3-star hotel in Chiang Mai this weekend is $99 or, for a 4-star hotel, $203. Looking for something even fancier? 5-star hotels in Chiang Mai for this weekend cost around $654 per night, on average (based on Booking.com prices). Which hotels in Chiang Mai offer an especially good breakfast? For hotels in Chiang Mai that serve highly-rated breakfasts, try Wiang Kum Kam Resort, BED Phrasingh-Adults Only, and BED Chiangmai Gate- Adults Only. What are the best hotels in Chiang Mai near Nimman Haemin? Some of the best hotels in Chiang Mai near Nimman Haemin include Daizy House, ALEXA Hostel and Zivi Nimman 15. Which neighborhood is the best one to stay at in Chiang Mai? Chiang Mai Old Town, Chang Khlan, and Chang Moi are popular with other travelers visiting Chiang Mai. What are the best hotels in Chiang Mai near Chiang Mai Airport? Travelers who stayed in Chiang Mai near Chiang Mai Airport (CNX) have said good things about 3B Boutique Hotel, Chayayon Hotel, and ZEN Rooms Soi Chom Chan. Which hotels are the best ones to stay at in Chiang Mai? Pingviman Hotel, iWualai Hotel, and My Chiangmai Boutique Lodge are some of the popular hotels in Chiang Mai. 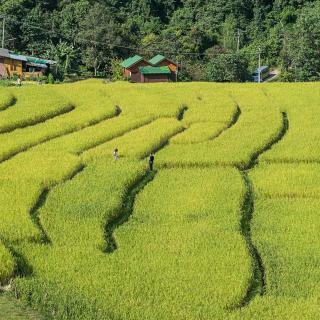 Surrounded by Thailand’s highest mountains, Chiang Mai is the beloved, idyllic and somewhat mystical capital of the North. With more than 300 temples, it's considered one of the most important cultural centers in the country. Despite being Thailand's fifth-largest city, Chiang Mai still has a relaxed and laid-back feel. Modernity, trendy shops and boutique hotels haven’t altered much of its picturesque and peaceful atmosphere. 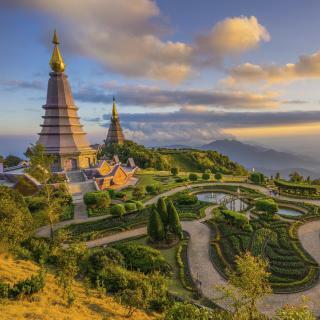 This reputation is partly due to its proximity to lush green areas, mountains like Doi Suthep, and its panoramic Wat Phrathat Doi Suthep temple. The Doi Inthanon National Park is 37 miles away with Thailand’s highest mountain. Hotels in Chiang Mai’s old city center are a popular choice, with picturesque scenery featuring its moat and older temples. Chiang Mai hotels can also be found around the Chang Klhan Rd, where the famous Night Bazaar takes place. The city’s nightlife runs along the Loi Kroh Rd, while Ratchadamneon Road hosts the main Sunday night pedestrian market. Don’t forget to buy an umbrella from Bo Sang and eat a bowl of kao soi. Whether you arrive at Chiang Mai International Airport or come by land from Bangkok, don’t miss "The Rose of the North" deals on Booking.com! Shopping, historical sights, temples of all shapes, colors, and types, food for every palate. Anything and everything you could want for a vacation spot stay. Do your homework on Chiang Mai. What do you want to do and you'll probably find it here. Old city is very walkable, but outside isn’t as much. Old city is very walkable, but outside isn’t as much. No taxis, but red cars and grab were easily available. Locals are super nice and accommodating, spoke good English. Songkran was so much fun! Warning: people are savage, nobody is safe from the water, no matter how much you ask them not to throw it on you. Walking street is a great marketplace, food is good, great bars with live music every night, and cool cafes with unique coffee. Would recommend visiting the jungle temple of Wat Pha Lat. Much less touristy, really quiet and lovely, and home to a white peacock or two. If you’re in good shape, take the nature trail from here to Doi Suthep. Steep but worth it. Beautiful temples & deliciously good food, what more can you ask for? Everything is just a few minutes away. 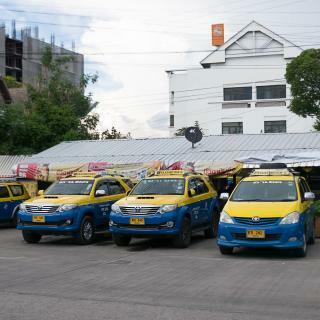 Places are easily accessible by taxi or tuktuk. My partner and friends really enjoyed visiting the temples at the mountain and in the Old City. Restaurants can be found everywhere so it isn't difficult to look for places to eat. We really enjoyed hanging out at coffee shops and dessert shops and eating local delicasies. Shopping was also easy because of the malls and street markets all over the city. For drinks and music at night, we enjoyed our time at Warm-Up Cafe. I would definitely go back and see what more this city has to offer! 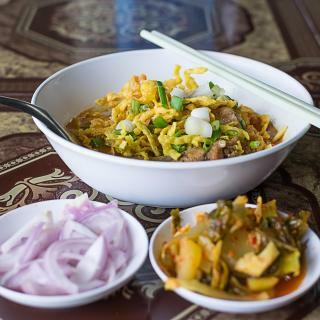 A definite must during Songkran and Loy Krathong! Beautiful city surrounded by hills, with plenty of nature close by and ancient temples. Definitely worth a visit. Night markets offered delicious and inexpensive food, and were easily accessible by tuk tuk. Chiang Mai is like home to me. Chiang Mai is like home to me. I love the people, the food, the chill vibe and the convenience of city life and access to nature whenever one feels like relaxing. 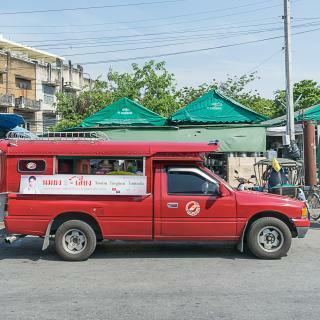 It’s easy to go around the city by songthaew, foot or by motorbike. Solo travelers have a lot of options for activities to do here. One could go to the popular temples, street markets, art and music spaces, waterfalls, mountains, dog/ cat/bunny cafes, elephant nature park, local food and hangout spots; crystal singing bowl meditation classes and learn swing, salsa and other latin dances for free at One Nimman Mall. I love the ancients buildings and pagodas. I love the ancients buildings and pagodas. Easy access with reasonable transportation (red car). Not too crowded. Walking around the old town was so much fun and people were very helpful and friendly. Helpful, super nice staff. A real rain forest atmosphere with comfortable, clean and well equiped rooms. The hotel restaurant was a good and cheap solution for meals other than breakfast as well. Two nice swimming pools and massage services. The old town and the night bazaar are easy to get to with cheap taxis, tuk tuk or "Grab" and every evening the hotel offers a free ride to the night bazaar. We booked most of our activities in and around Chiang Mai directly from the hotel information with the kind help of the hotel employees. The location is perfect. This well-decorated hotel was about 100 meters away from the old city, where many places of interest, massage and spa, as well as restaurants are located. The staff can speak both English and Chinese fluently. And they were very helping and very pleased to provide some travel tips regarding the places that deserve a visit, or the events nearby (for example, night market). Also, they were very willing to accommodate the needs of the guests. I would definitely stay in this hotel again if I re-visit Chiang Mai. Absolutely the best place ever in my hole trip to Thailand. All deserves score 10 as the check in, shared double bed room, bed (so comfortable), the hotel's location(just few minutes walking until the center), decoration, breakfast (delicious passion fruits), staffs and owners very helpful and gentle (thanks for the airport's ride). The staff have great English and they are very communicative. I really recommend this place. And I will surely come back in my next trip to Chiang Mai. Thanks for all! Large comfortable bed with a nice balcony. Great location in Old City near lots of amazing vegan/vegetarian restaurants. The best thing about the hotel is the owner - she booked all our day trips for us (elephant sanctuary visit and cooking class), gave us advice on where to go for Yi Peng festival and the history of Chiang Mai. She even let us park our scooter out front over night after we’d checked out and had an accident round the corner! Super lovely lady. The thoughtfulness of the staff was appreciated, i.e. giving us takeaway breakfast because we were leaving early. The breakfast was also great! 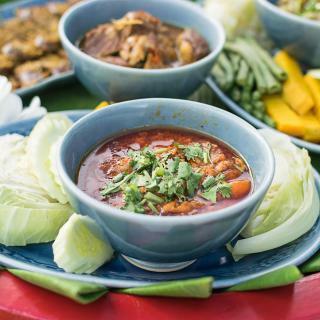 Not your usual continental stuff, but other foods to introduce foreigners to thai foods in small bites. Water, fruits, biscuits along with tea/coffee were easily accessible throughout the day. Hotel is just outside of the Old City so everything was within walking distance. I'm definitely staying here again. Best host I've ever met. Very kindly and helpful. The first day we arrived, they gave us a handwriting map and an introduction about the Old City. We stayed 2 days, and went to Pai, when we came back, our luggage were delivered to our next hotel. The most impressive thing was one day we came back to room, found they had opened the air condition and prepared cold water for us. Really feel like being home during our stay in their home! Very good hotel, good location in old city, in walking distance of everything, big rooms, modern furniture, clean and comfortable! Breakfast was okay, better than we had so far in Thailand after 1 month of travelling! Room was cleaned every day. If you look for a cheap, clean and modern place to stay, this is it! :) You can rent bycicles at the hotel to get around the old town, or just go by foot. We have spent nights in 3 different hostels/hotels in chiang mai, and Sleep Walker is clearly the one we have ennoyed the most and with a very good value for money. Sleep walker is extremely clean and comfortable. The decoration and armosphere are also very welcoming. The staff was very helpfull and kind. It is also located within the old city at a walking distance from all attractions. The staff were very nice and so helpful and arranged trips and transport for us. The rooms were very lovely and modern and comfortable. The housekeepers cleaned the rooms, made the beds, gave fresh towels and water bottles each day. It like a hotel and the pool area was so amazing. The location was great and just a short walk to the old city and bars/restaurants etc. There is absolutely nothing not to like here. Free laundry, water bottles, and breakfast every day. The pool is amazing and every part of the property is spotless. However, the absolute best part is the staff who make you fee at home at all times and even watched our bags for a few hours after check out because we had a late flight. Best place to stay in Chiang Mai! Staff were friendly and helpful. A wide selection for breakfast which was a good balance between Asian and Western food. Reasonable price although I don’t have much experience of hotel prices in Chiang Mai. Very close to the airport while also right on the border of the old city. Very comfortable bed. Fairly priced minibar. This is the best hotel of 6 hotels I’ve booked in Chiangmai. Great view on the small balcony. And the room is sooo clean and comfort! The location is perfect, just in the middle of the old city. We enjoyed our stay at Stay De Vieng. Hope to come back sometime. Highly recommended! Very nice garden, waterfalls and ponds. Good pool; the frog chorus at night was an unexpected bonus. Insect screens on windows mean you can sleep without aircon - all hotels should have these. Helpful staff; short walk to night bazaar, and Chiang Mai gate entry to old city. Great location in old town Chiang Mai (easy walk anywhere in old town). Very cute hotel if a little dated. Quiet. Clean. Friendly staff though limited English. We always figured out how to communicate. Good breakfast options, cooked fresh. Strength: the hotel offers good breakfast and great service. The staffs were polite and considerable, tried their best to solve our problems. The location is good, only few minutes walk to the Saturday night market and the old city. Location inside the old city. Friendly staff, super clean. This is probably the best place I've stayed at. I love the separation in the bathroom. Finally a separate shower side and toliet side! A new hotel. Every staff member gave the best care and consideration possible. The rooms, the diving, the service were as good as it gets and better. I would go there anytime in Chiang Mai. My favorite place to stay in Chiang Mai. Super friendly family running the hotel. Best value for the price out of all the places I’ve stayed in Chiang Mai. Good location.